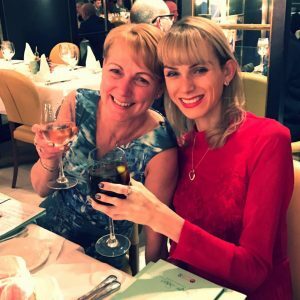 This month’s guest blogger is Sophie Ward, who is the author of the blog Sophantastic in which she shares her experiences and reaches out to people with food intolerances, depression, chronic pain, nerve damage, chronic illness, Lyme Disease, co-infections, anxiety and low-self esteem. Her blog is full of stories and tips on lifestyle adaptations and diet. She has had blog posts published by The Mighty.com, including the one below! Chronic illness can make us feel worthless. I struggle immensely with this as I know many of you also will. Many of us lived fast paced lives before becoming poorly. To go from running around, full of life and living within the buzz of life to struggling to get out of bed, function, make meals, wash etc. It is soul-destroying. People used to rely on us, we used to be valued in our jobs and we could take care of house affairs. Now we seem a chore to others, we are unable to socialise like we used to, we make trips out a struggle, we cannot perform work tasks as effectively and home chores get left because we are toofatigued. We feel we have lost ourselves. So what do we have left? What is our purpose? We feel like we live in a bed, confined to four walls and are a strain on our loved ones. So here today I felt that is would be important to raise some reasons why we do have a purpose and are worthy. 1. We are loved – what would your husbands, wives, children, grandparents, brothers, sisters, parents, and friends do without you in their lives. You may not be able to drive them around, watch their football match, go out for a meal, go to the theatre, go on holiday but you can snuggle up in bed and watch a film, you can make the best pasta dish which is their favourite, you do give the best hugs, you share the best stories. We have to remind ourselves of these little special traits, skills, personality traits that make us unique. 2. Our story helps others – whether we are on the streets giving out leaflets or simply laid in bed in an awful amount of pain we will be touching others. People will read the leaflets and reach out for help if it’s needed as someone who sees you struggling to function and being bedridden won’t want to go through the pain you are experiencing and will go and get help. So you may not be the loudest voice but just functioning and doing the best you can to make it through the day, makes an impression on people. 3. Talents – we are all unique and we all have talents that people nor any illness can take away from us. We must keep this in mind. We may not be able to perform them currently but nobody can take your past achievements away from you. That wedding cake you baked, the marathon you ran, the book you wrote. They are all part of your story and worth. We also can’t compare our old talents to new ones we may not enjoy. So if you used to run marathons and run for miles but now find yourself sitting down all day painting. That talent is just as impressive. 4. We can still give love and show kindness – We all have buckets of love and kindness that we can share to make anyone happy. When you are feeling like you don’t have a purpose, do something with love and the joy you will bring will show you that you are indeed very worthy. This can be cooking their favorite meal, snuggles & cuddles, buying the toy they have wanted for a while, going out for a meal, writing a poem, writing them a card to keep. The list goes on. 5. We are placed in this world for a reason – fate placed us on this Earth for a reason. There is a reason we are living and breathing right now, today. There is your worth! You do have a purpose to this world because it wants you here! Remember fate has the ability to end your ride at any time and yes the roller coaster is a challenge but you are still in the driving seat and riding it. 6. Read letters, cards, and comments from loved ones – their kind words, will motivate you massively and remind you that you are deeply loved and people understand your struggle and that it’s not your fault you can’t be the full of life like the person you once were but they accept that. They are supportive of you now and your illness. 7. Small steps lead to big things – If you are feeling really depleted and lost then change that negative energy into positive energy. This can be done by helping others by sharing your struggles, sharing advice and facts, writing to your MP’s, local councilors, painting your struggles, writing and much more. Your voice, writing, painting, creativity can really reach people and help educate them, spread awareness and encourage them to fight for treatment for themselves. 8. Educate yourself – a strong brain is extremely powerful. As they say, KNOWLEDGE IS POWER whether is this simply by watching documentary films on your harder days, reading books, searching the net or reading other people’s stories. The knowledge you gain will help you grow, so you can advise others, help yourself, because more clued up, keep updated on new and up and coming treatments and after all knowledge is priceless. 9.Inner beauty – you may feel ugly on the outside and upset with your appearance. Looking unwell, weight loss, weight gain, pale skin, skin filled with rashes, dry and red skin, hair loss etc. This is deflating but nobody can take your inner beauty away from you. Unwell or not we all lose our outer appearance eventually. It is our inner beauty that makes us shine bright and makes us unique. You are worthy as nobody has the kind soul you do, the inner strength like you have or the ability to always see the glass half full. A pretty face can’t keep your attention for very long but a kind heart leaves footprints wherever it walks. 10. You bring happiness – even if you are feeling really unwell and you very zoned out and not really ‘in the room’ just you being there could have made someone’s day. Just you talking and joking about your dog could have made someone laugh. Your goodbye hug could have given someone hope in knowing they are not alone. You sharing your story could be the motivation someone needs to heal themselves or chase their dreams. I hope these points have given you hope that you are all hero’s and bright stars in our own ways! We should not compare our worth to people without chronic illness or who don’t suffer from any health implications. Nor should we compare our past selfs to our present. None of us wished this hell upon ourselves and we are rocking what we have been given and walking strong down the path fate is leading us down.